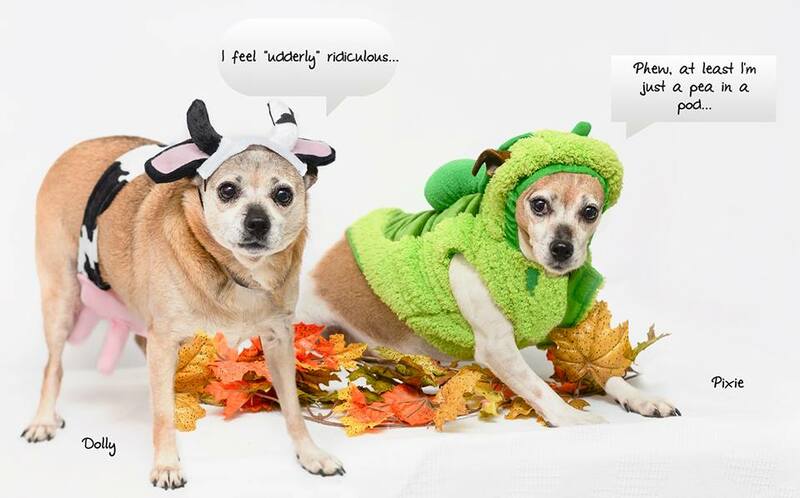 The Northern Chautauqua Canine Rescue Dogs of the Week are Dolly and Pixie, pictured showing off what they wore for Halloween. They are a mother/daughter duo who came to the rescue when their senior owner moved to a place that wouldn’t take dogs. They are very bonded; they cuddle up together to sleep and don’t like to be out of the others’ line of sight. They’re both friendly. The shelter is located at 7540 N. Gale St. in Westfield and is open from 1-3 p.m. Monday through Saturday or by appointment by calling 326-7297. Many of the dogs can be seen online at www.caninerescue.org.